The mission of the Pipe-Portal is to present in multiple languages information on the cultural heritage around the history of the tobacco use in an international context in the present, past and future, featured by the tobacco history museums in Europe. This portal goal is to point, in a simple manner and in multiple languages, visitors in the direction of museums in Europe with cultural-historical collections centered around tobacco and smoking. These specialist collections are otherwise difficult to find. In addition, the portal makes information accessible about the history and culture of tobacco use by offering direct virtual access to the collections. This portal does not give a value judgment about smoking or other forms of tobacco use, for which other websites are online. We only offer insight into the historical heritage of tobacco use, shown by the museums that preserve this particular – and threatened – heritage. Our target audience is members of the general public who are looking for original museums with collections around pipes and tobacco use in all its forms. Researchers and interested parties in history, archeology, heritage and museums can use this portal to conduct specific research. The Pipe-Portal is an initiative of the Amsterdam Pipe Museum. It is the first and only portal exclusively dedicated to museums exhibiting and researching the smoking culture and the related subjects of tobacco use. The participating museums contribute to the development of the Pipe-Portal and share the costs for its structural maintenance. New participants are very welcome. 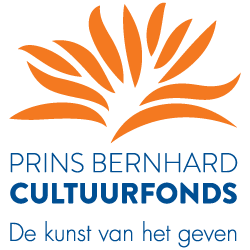 The initial development of the website has been made possible by generous subsidies from the Mondriaan Fund and the Prins Bernhard Cultuurfonds in the Netherlands and of course by the contributions of all participating museums. The technical implementation of the website and databases was completed by Data Trippers, Amsterdam. For more information, suggestions or comments feel free to contact us at the email address below.